This year I finally got a Flocked Christmas Tree! I’ve been wanting one for the last couple of years but they are normally so expensive. Last month Walmart got some in, at about one third of the price of ones that I’ve seen in previous years, so I jumped on it! I needed some new garland for it though, since my old garland really didn’t fit with the flocking. I decided to make some out of Burlap and I added a painted Snowflake Design. It was so easy to make and really fun too, and I love how it looks on my tree! 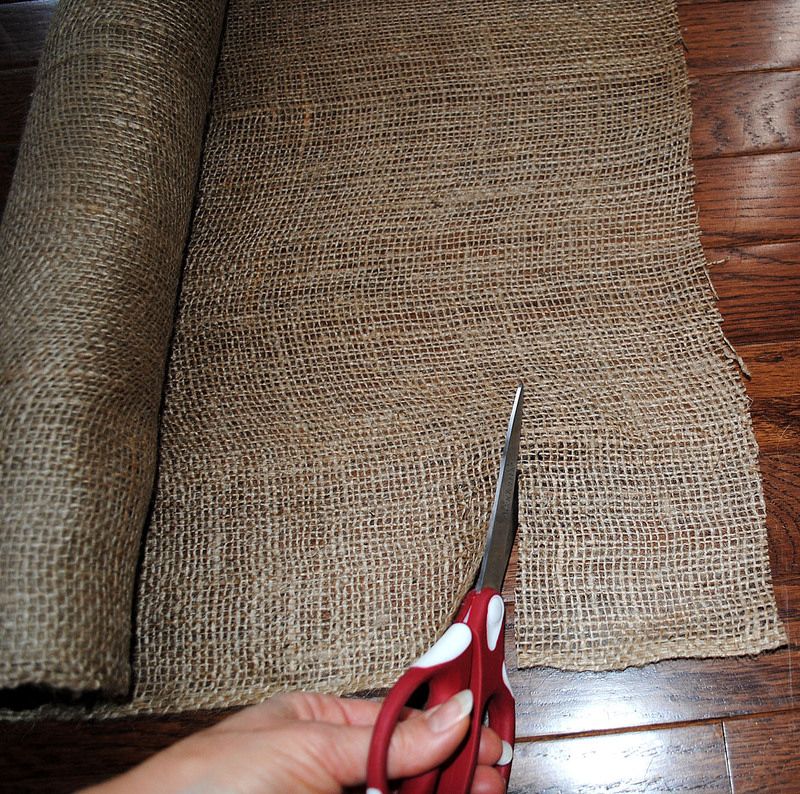 Step 2: Apply the Adhesive Silkscreen to the Burlap, and using the pouncer apply the paint. 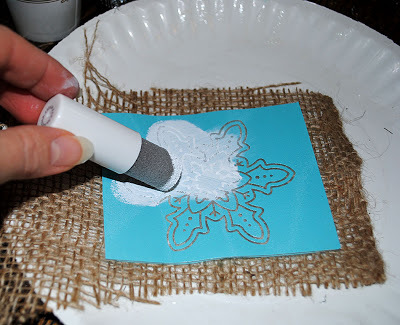 (You could really use any white paint, I just used what I had) Then allow to dry completely. Step 3: Attach all your strips together by knotting them. That’s it! It takes a little while to paint all the strips, but it’s a great TV watching project and so fun! 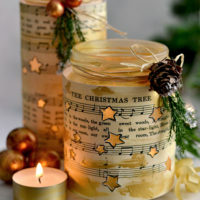 Just make as many strips as you need to decorate your tree with, if you don’t have enough, you can always add more to it. I hope you enjoyed this project! I really love working with these silkscreens, you can see another project that I did using them HERE. DIY Star Luminaries – Free printable! 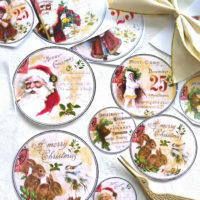 DIY Vintage Gold Christmas gift tags – free printable DIY Vintage Madonna and Child Art Triptych – FREE Printable! 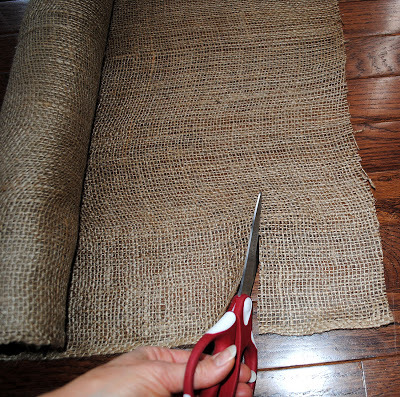 Cute…love the stenciling on the burlap, it added another layer of dimension and texture! I’m gonna have to quit visiting you as I am growing BROKE! hehehe! Thanks for sharing, love it! Thanks Pendra! haha! 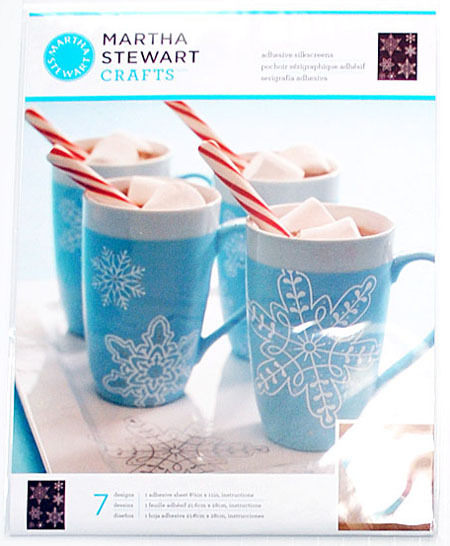 You could actually use some of the silkscreens that come in the lace package for this same project, I think the lace would look just as pretty as the snowflakes! 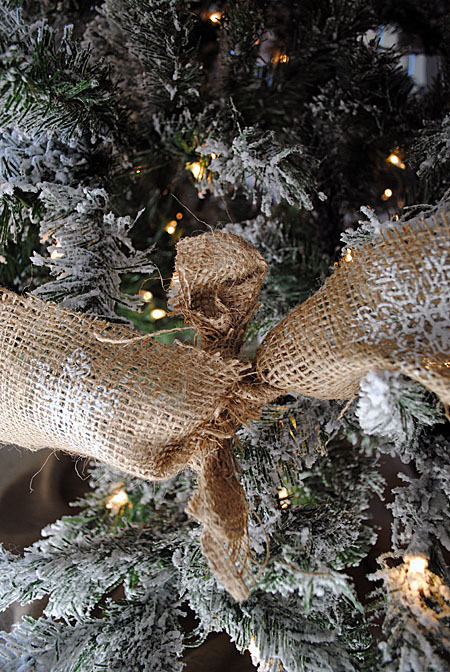 Your tree is beautiful, and the stenciled burlap garland is so pretty, just perfect for the tree! Oh your tree looks wonderful! 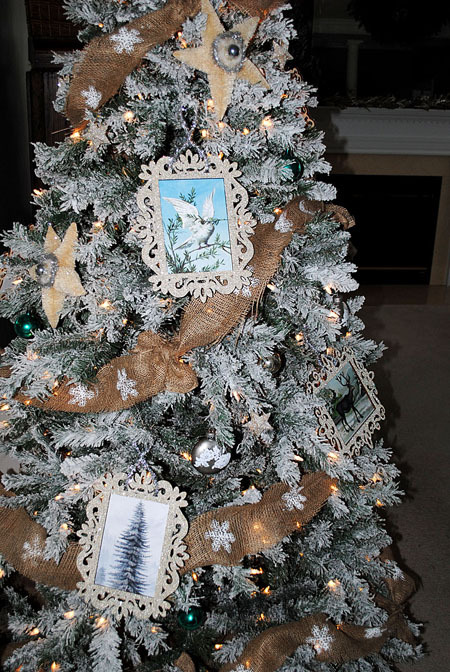 What a great job decorating it, and the garland is perfect for it! 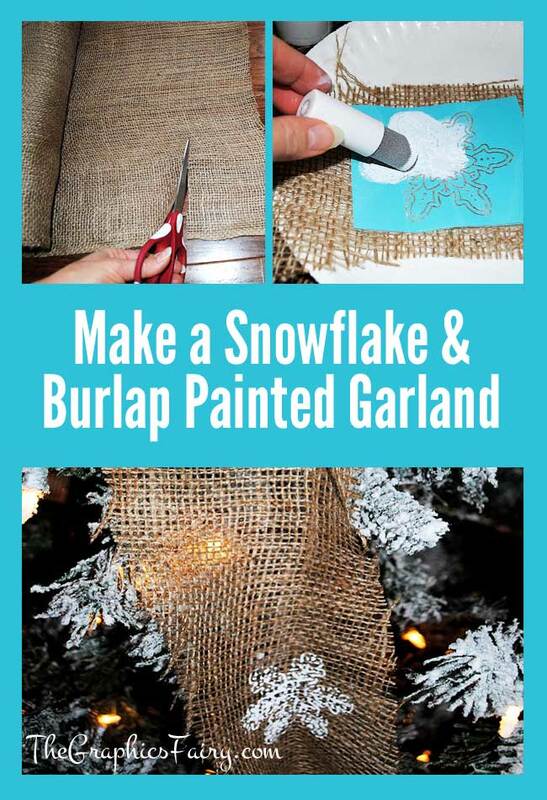 I have a couple burlap ribbons that are quite long, and I have some snowflake stencils. So I did this and have it draped around my old wooden ladder with some lights and rusty jingle bells. 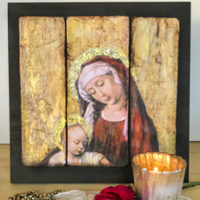 I love it, thanks for the inspiration, Karen! If I blog about it (so much going on right now, hard to stay on top of it! ), I will be linking to this post to give credit.